976 words today. And every one of them was a struggle. Every. Damn. One. I did get the sticky plot point explained. But for some reason, this book is nowhere near as much fun to write as the last one. It’s ridiculous. The story has so much more going on. I know how it ends (I usually do). I have one awesome scene I’m saving until I’m almost done, because writing that one is going to have me giggling like a little kid. I don’t have a soundtrack for it, I don’t love my protagonist, and I don’t care about the larger social issues the book addresses. I thought now would be a good time to get this done, since I’m not working, but all I can think about is that I’m not working. Among other, more upsetting things. Hopefully 2013 will be much, much better than 2012. Of course, that’s what I said last time. 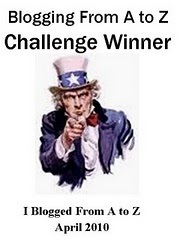 This entry was posted in NaNoWriMo 2012 and tagged National Novel Writing Month by A. Elizabeth West. Bookmark the permalink. 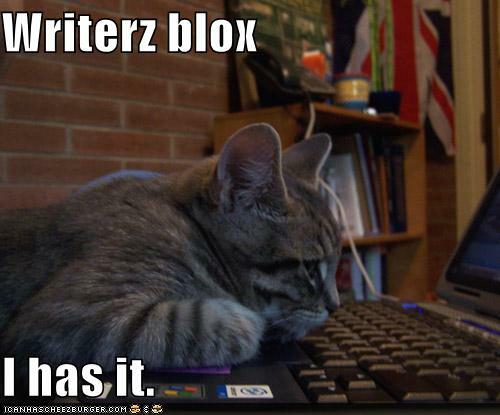 Just keep plugging away…you’ll break thru that writer’s block!! I hope so. This thing has been languishing for several years now. If only everything else weren’t such a wreck.